Ask questions and get answers in the WeddingWire Community. 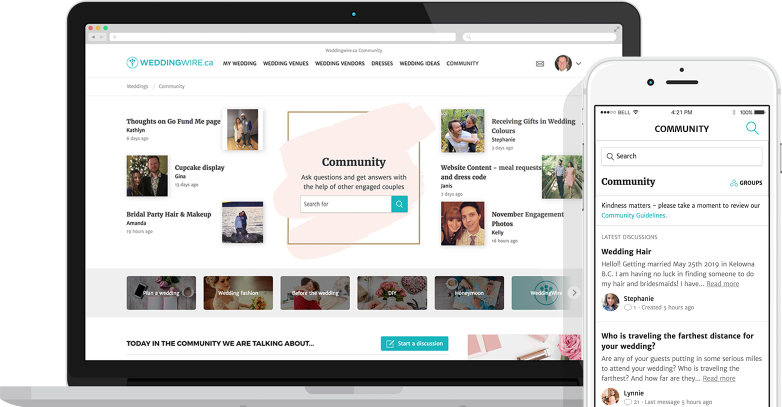 Share your wedding planning experiences and get tips and advice from members in the WeddingWire Community. 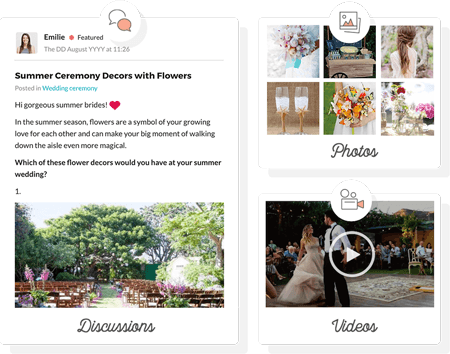 From etiquette to centerpieces, get answers to all of your wedding questions in the WeddingWire Community. 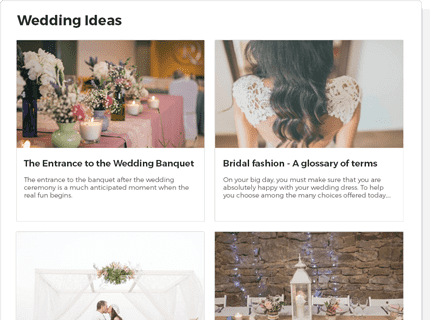 Browse tons of discussions, photos, and videos to share advice with couples and get ideas for your own wedding. Read articles filled with inspiration and tips to help make the planning process fun and stress-free from beginning to end. 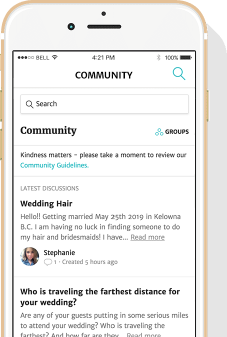 Download the WeddingWire app to access our Community of engaged couples whenever and wherever you need them.